You must be an expert vintage gold pen collector. 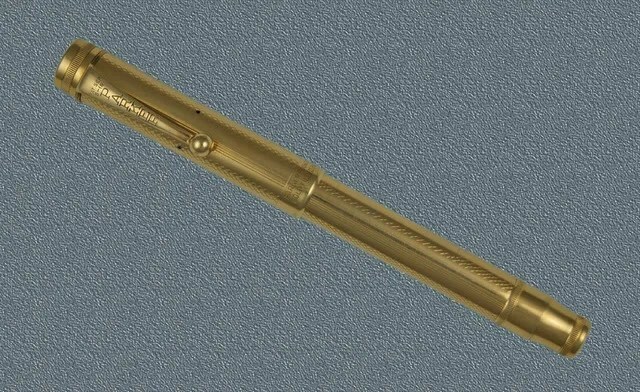 I would like to own one vintage gold filled pen for a daily use but I am not sure about the price. I recently looked at a vintage CROSS fair quality gold filled ball pens on an ebay and its price was $65. Was this a fair price for a CROSS gold filled pen or was it a bargain price? Your advice and sugestion is GREATL APPRECIATED. I have two pieces old vintage fountain pens for sale including papers and box. advanced many thanks for your reply . I purchased at a show 2 ballpoint pens and to my surprise I was told they were solid 18 kt. gold, they have 2 hallmarks 1 showing the face of an eagle and the other shows a (star) a (P) an (L) and another star I did some homework and now I know that the eagle means it was made in Francebut I have no idea what the other hallmarks represent. 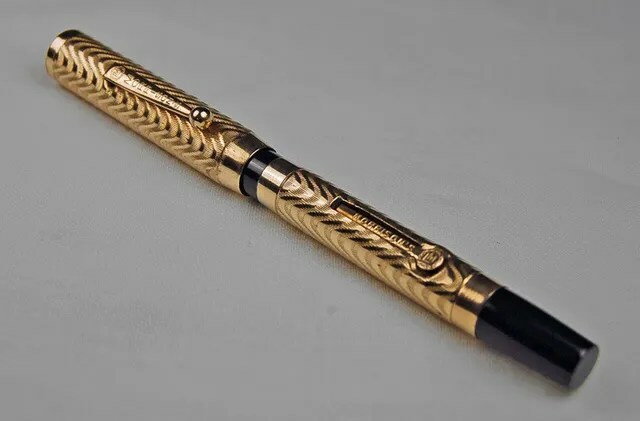 I have an old golden Morrison’s fountain pen just like this one, but only the cap and barrel. Where could I possibly find the missing parts ?